The slick story of Chicago tells the tale of adulterer Roxie Hart (Hayley Tamaddon) who lands herself in prison after murdering her lover. In order to gain freedom, her loyal husband Amos (Neil Ditt) hires her the successful and expensive lawyer Billy Flynn (John Partridge) to get her freed. Together Billy and Roxie work on her public image in order to convince the people that she is innocent, however, her press coverage and new found fame starts to boast Roxie’s ego thus deflating fellow inmate’s Velma Kelly’s (Sophie Carmen-Jones). Velma, who is similarly awaiting trial for the murder of her ex-lover and sister, was previously seen as the popular one who received all the media attention soon begins to feel slightly threatened by Roxie Hart. With the guidance of Matron ‘Mama’ Morton (Sam Bailey), the press, including journalist Mary Sunshine (A D Richardson) and their coverage of her faux pregnancy and divorce, and of course Billy Flynn’s influence, Roxie manages to victoriously win her case. Finally, we see that her and Velma are both free and performing together as close friends as an all singing, all dancing duo in their post prison lives. Chicago’s simplistic staging, all black costumes and comedic timing add a quality of maturity, sophistication and sleekness to the musical. Personally, I believe that Ben Atkinson and the rest of the orchestra, who are placed on the stage for the entirety of the show, were a highlight. They added something extra special to the show, as their role required a degree of acting thus making their direct involvement in the storytelling extra fun and special. Chicago features a very strong leading and ensemble cast alike. The all star principal cast includes; Hayley Tamaddon, who is known for her roles in popular soap operas Emmerdale and Coronation Street; John Partridge, who has an impressive résumé of theatre credits as well as famously playing Christian Clarke on Eastenders; and the incredible Sam Bailey, who was the winner of the tenth series of The X Factor in 2013. Sophie Carmen-Jones, Neil Ditt and A D Richardson each also deserve special mentions, along with the ensemble and dancers, who each brought something different and captivating to the famous musical. The dancing was especially polished and impressive as showcased in numbers such as All That Jazz and Razzle Dazzle. 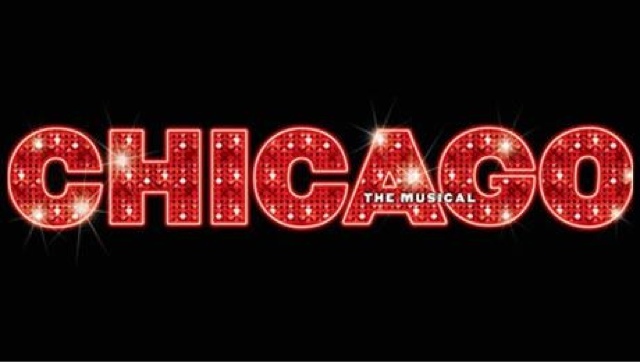 Chicago The Musical is running at The Edinburgh Playhouse from Monday, 13th - Saturday, 18th of June. Make sure you get yourself a ticket, because this talented cast is sure to Razzle Dazzle you!